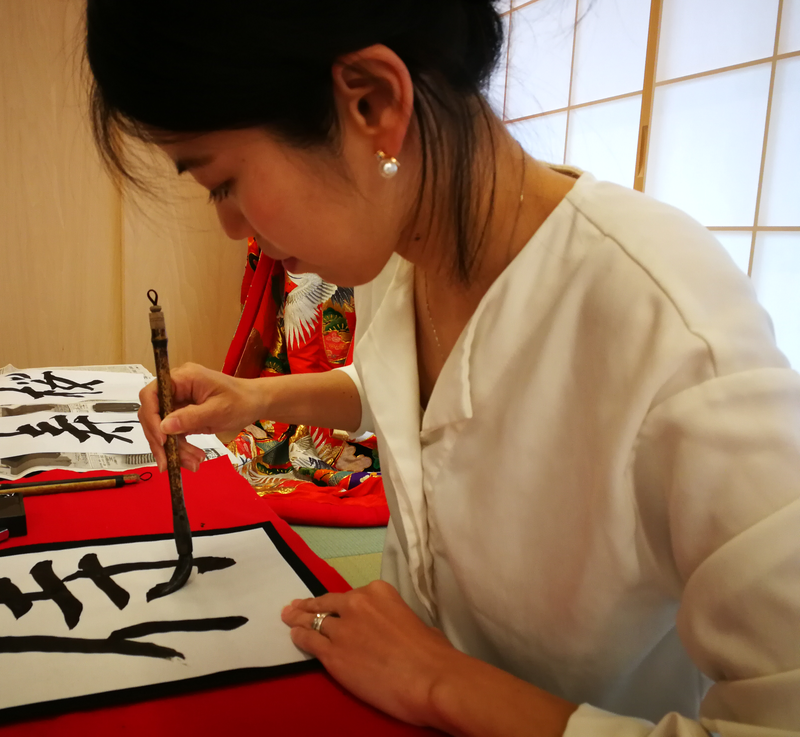 If you want to learn to write your own name or your favorite kanji (Japanese character) the traditional way, you are at the right place! We will teach you the basics of calligraphy. Bring your little piece of art as a souvenir back home with you! Hello, this is SUiTO FUKUOKA. Our staff will teach you the basics of calligraphy. After practicing several times, you will write a clean copy​ to bring back home as a souvenir.